International Consultant providing investment advice on issues concerning FDI in Africa, in particular from Asia. 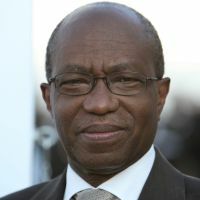 Former: Energy and Water Resources Minister, Government of Mali; Director of the Division for Africa, the Least Developed Countries and Special Programmes, United Nations Conference on Trade and Development (UNCTAD); Chef de Cabinet of the Secretary General, UNCTAD; Special Adviser to the Secretary General of UNCTAD; Economic Affairs Officer, UNCTAD. Has written many articles on development issues with a particular emphasis on Africa.